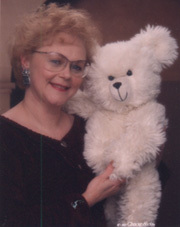 This is the second in a series of articles offered to help market collectable teddy bears and other artist produced works. The first article, Teaching Your Bears to Sell Themselves, presented how show sales are influenced by the atmosphere created in the artist-customer interaction. When sales are not up to expectations at a show, some artists feel it is solely an issue of price. If they reduce the price the bears will sell. Others may feel personal rejection because so much of themselves is presented in their work. Artist that understand what influences the buying decision of the collector may improve their sales and reduce or eliminate the feelings of rejection. There are three issues on which people base buying decisions; customer interaction, perceived value and product appeal. All three play a role, each taking on a different significance based on the emotional need to own the product and the timing of the offer. Even a purchase based mainly on perceived value is more than just numbers. A bargain purchase satisfies the emotional need to win; 'getting the best price'. We can help the customer deal with bad timing by offering lay-a-way and credit card purchases. Being able to delay the actual cash payment may help the customer make the commitment. While customer interaction alone can make or break a sale, perceived value and product appeal are tightly interwoven. All of us have at one time or another set out to get the best price possible for a car just to find that the product appeal had more influence than we may like to admit. (The red Cadillac, the roomy van or the sports model had much more appeal than the practical, low priced, used compact.) Each of these cars has its own product appeal based on how it makes us feel as owner. If the strongest emotional need is to feel successful, the red Cadillac may offer the best perceived value, even if it is the most costly of the group. If you are a 'soccer mom' the car with the most product appeal is definitely the van. The Cadillac may be viewed as an extravagance and the sports car useless for her needs. "They would have to give that car to me for me to own it!" pretty well sums up low product appeal equals low perceived value. The concept of perceived value rising and falling with product appeal is very understandable. The reverse is also true. If the consumer sees a bear with high product appeal there is a price range that is expected. If the actual price is below the perceived value it brings in question the product appeal. Is it a manufactured bear or an artists creation? , is the fabric synthetic not mohair?, what is wrong with the bear?, etc. Just as too high a price can kill a sale, a price lower than the perceived value can create doubt and enough confusion to stop a sale. Unconsciously we all experience this judgment process with every potential purchase we make. Millions of dollars are spent every year to test consumer reaction to most new products. So how does a bear artist, with limited resources, figure out what the collector's perceived value is for his/her work? Here are three ways to figure price. The actual cost of materials equals 1/3 , 1/3 is for labor and 1/3 for overhead and profit for the wholesale price. The wholesale price is what you would sell at to anyone who will be reselling your work. Usually a quantity purchase is required. The retail price (what you charge at shows) is normally double wholesale. This formula used alone results in a wide discrepancy between mohair and synthetic bears that are otherwise equal size, design and construction. Study the selling price of other artists bear. What Influences the purchase, continued from pg 1 One of the best things about the teddy bear business is almost everyone is willing to help others. Do discuss with other artists (write, e-mail, talk discretely at shows) what their selling price is. Not the price marked on the bear, but are they discounting to make the sale? Do they do wholesale? etc. Make three charts about the information based on bear size, dressed,non-dressed, etc. Separate the well known artists from the beginners and the experienced artists I feel well known artists have earned the right and deserve to charge more for their work. As your experience increases you can increase your price accordingly. Also impacting this type of comparison is where the artists are marketing their work. Stores generally cannot command as high a price as an artist at a show. There is more perceived value when meeting the artist and having the piece signed. The hardest to gather, but the most valuable information comes direct from consumer surveys and focus groups. In order for this information to be valid participants must have some collectable teddy bear knowledge. Perhaps a show organizer or store owner is willing to provide space to display 3 to 5 bears from 1 or more artists to hold a "live" survey. Use an easy to answer form, simply asking what the collector might be willing to pay for each bear. Do not indicate the name of the artists or ask for the name of the individual. Convention organizers might consider asking conventioneers to participate in a focus group. Answers from selling artists and bear makers should be separated from collectors. For a mail survey you or a group of artists can rent lists from some show organizers and magazines or a group of artists may pool their own lists to survey collectors. To get a good response rate a list should contain at least 500 names. The survey should be kept short so the collector only needs to spend about 10 minutes to answer the questions. Return postage should be pre-paid. I recommend you consider all three sources of information when possible in your pricing decisions.